Nearly every day, we receive messages in organizations and our personal lives that the world is chaotic and separated by nationality and culture. Yet, in an ambitious worldwide 2004-05 research initiative called "The World at Work," my colleague Dr. Barbara Trautlein and I found the opposite. We discovered more similarity than difference across geography, industry and gender based on interviews with multinational managers on five continents and spanning the organizational Value Chain. We also reached a key conclusion about "technology" in organizations: It's time to rethink technology's role, boldly asking: "Does technology have a new role to play in a critical 21st century challenge - building connections, collaboration and consensus in ways that it hasn't before?" Moreover, should women managers take the lead, spurring dialogues that would make this possible? Most of us have to work to earn a living, and that is not necessarily a bad thing. But what can become tiresome, distressing, and even unhealthful is when we don't feel that we can ever "disengage from work" - when life begins to feel like one big long work day and we have no time or energy left for personal activities, personal relationships, or for ourselves. One of my clients summed it up this way: "I don't mind spending time at work. What I mind is spending my 'play' time thinking about work. Because I can't ever disengage from work, I feel like I can't get engaged in my own personal life. I really need to get a life." This year's conference will feature a silent auction to benefit United Cerebral Palsy and The WITI Foundation. Donating items is a great way to advertise products and services to conference attendees while receiving a tax deduction for the fair market value of your donation. If you have a product or service which you would like to donate for this year's auction, please contact Sara Newell at United Cerebral Palsy (818) 782-2211, ext. 540 or [email protected]. United Cerebral Palsy is the leading organization devoted to helping adults and children with developmental disabilities maximize their potential and lead full and dignified lives. Tricia, as a WITI Member, submitted this article to WITI for publication. Do you have expertise to share? WITI gladly accepts submissions for publication. For more information or to make a submission, please visit the Members' Area. WITI Member Vicky Wu was recently profiled in Red Herring's "20 under 35". She's only 32, but Vicky Wu will tell you that she has "been around the block" since she started working in technology at age 16 as an intern for Lockheed. The CEO of mobile game company Froghop has built her company from the ground up - twice. After leaving her job at Nextel Communications in 2000, Ms. Wu was inspired by her video gaming friends to develop technology that would allow people to access virtual video game worlds via mobile phones. Capitalizing on the 20 to 40 hours a week that hard-core gamers spend inside virtual worlds in massive multi-player games (MMPGs), Ms. Wu's creation seemed to be a sure hit. But her timing couldn't have been worse: in 2000, she founded Froghop in Cambridge, Massachusetts. Read the rest of the article at www.redherring.com. The business world is still based on the rules of team sports. Knowing and understanding how to navigate within this system is critical to your success. There is a way to do this by understanding the dynamics of male and female cultures, identifying the rules of the game of business, and honoring your talents as a woman in the process. 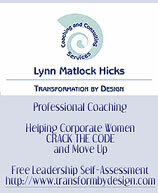 For a free Leadership Self-Assessment, visit her website at http://www.transformbydesign.com. The second annual Women's Game Conference (WGC) is less than 1 month away, taking place October 26-27, 2005 in Austin, Texas. WGC focuses on women in the computer and video game industry and highlights the importance of women as consumers of games, draws attention to the contributions women bring to the game industry workforce, and creates an environment conducive to networking. Kris Soumas, Vice President of Interactive for Lifetime Entertainment Services will deliver the keynote address at WGC. More information is available at http://www.womensgameconference.com. WITI Members: Visit the discounts page in the Members Area for the promo code worth a 10% discount. Join the leaders and experts shaping the emerging field of non-entertainment games at the Serious Games Summit D.C., October 31-November 1, 2005. See how learning theory and game technology come together to create interactive solutions for shared challenges. Visit seriousgamessummit.com for information, and to register! Register with Priority Code TEENXX for best pricing.